Five tips to building the perfect kite quiver. That’s half the battle. If demos are available in your area, either through a shop, school, friend or local rep, take advantage, and fly as many different models as you can. The more experience you have with a variety of different kites the more educated you will be on what works best for you and what does not. 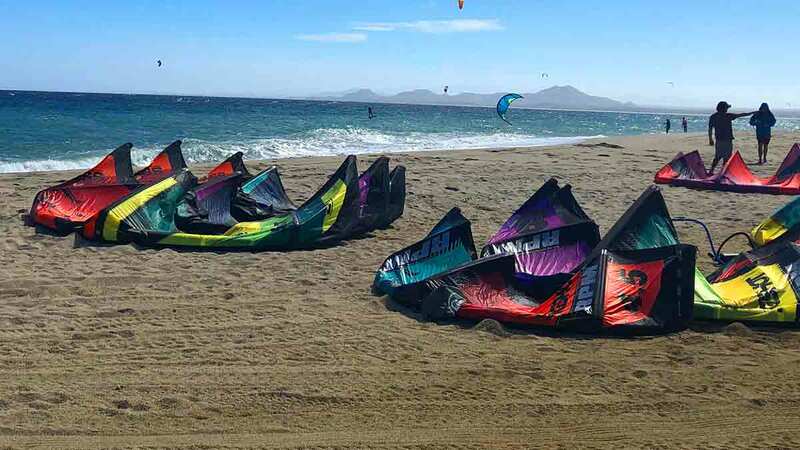 This may seem like an obvious one, but it’s fairly common for people to buy a quiver of three or four kites and only really use one or two of them, or realize they should have bought a five meter instead of a seven, or a 15 instead of a 12. Different kite shapes have different benefits; keep an open mind to having a mixed quiver. You might discover you like one type of kite for high wind and something different for light wind. If you have your mind set on having all the same kites in your quiver, you could be missing out. A common three-kite combination around Slingshot headquarters in Hood River, for example, is something like this: 6 SST for crazy windy days with by swell, 9 RPM for butter-wind boosting, looping and all-around shredding, 12m Rally for plenty of power and boost-ability on lighter wind days. As a bonus, add an 8m SST for light wind foiling. This is an unconventional tip, but if you’re like most people, you want to be on the best (and newest) gear possible, at the lowest cost possible. Check the forums and classifieds, see what’s out there, how much it’s listed for and how fast it sells. This will give you a sense of what you should keep in your own quiver, for how long and when you should try to refresh. As a general guideline, spacing your kite sizes in three meter increments is what we have found to be the best spread. Usability will overlap between kites just enough that you’ll always have the right size for any wind condition within the top end of your smallest kite and the bottom end of your largest. For more details on HOW TO PICK YOUR PERFECT KITES check out these blogs!